WordPress plugins allow you to enhance your website’s functionality by adding features and capabilities that don’t come standard with the system. From writing tools to SEO tips to analytics, WordPress plugins will help you arrive at any solution you’re seeking, all while keeping your website as speedy as possible and saving you time along the way, too. But with so many options available, it’s tough to figure out the best ones to use. That’s why we’ve done the work for you. Below you’ll find a list of the 25 best WordPress plugins (not in any specific order) that every marketer should explore. These 25 plugins have been reviewed by some of the top marketers in the industry. They’ll also keep both you and your WordPress website running efficiently and effectively. If you want more, check out the official WordPress plugin page. Jetpack is an all-in-one WordPress plugin that offers advanced features such content tools, mobile themes, and more. You can take advantage of all of Jetpack’s features to enhance your website, or pick and choose just what you want to activate based on your unique needs. Some of these features include automated social media posting, site statistics and analytics, and different SEO tools to help you measure and promote your website success. With The SEO Framework, your website’s search rankings will improve drastically with the help of the plugin’s numerous, automatic optimization features. These features have the ability to optimize every page, post, and term on your website so it is not only easier to find on the internet, but it is also more searchable on all social sites such as Facebook and Twitter. No matter if you’re new to SEO or an expert in API, The SEO Framework will help you optimize your website. Just Writing takes WordPress’ Distraction-Free Writing Mode (DFWM) to a whole new level. This plugin introduces important features like spellcheck and paragraph styling to help you focus on your words without having to constantly drop out of DFWM to implement basic formatting. The Google XML Sitemap plugin makes it easier for search engines, like Google and Yahoo, to crawl your site and retrieve information. It will also notify search engines when you create new content so you don’t have to manually submit changes to search engines. Added bonus: Pixel Caffeine automatically keeps up with Facebook’s latest updates so you don’t have to. “[Calculated Fields Form] allows you to create simple calculators for your WordPress site. You can easily build finance calculators, quote calculators, booking cost calculators, health/ fitness calculators, and other link-worthy tools,” says Roy Harmon of Advertoscope. Akismet helps you avoid (and eliminate) spammy comments on your blog. 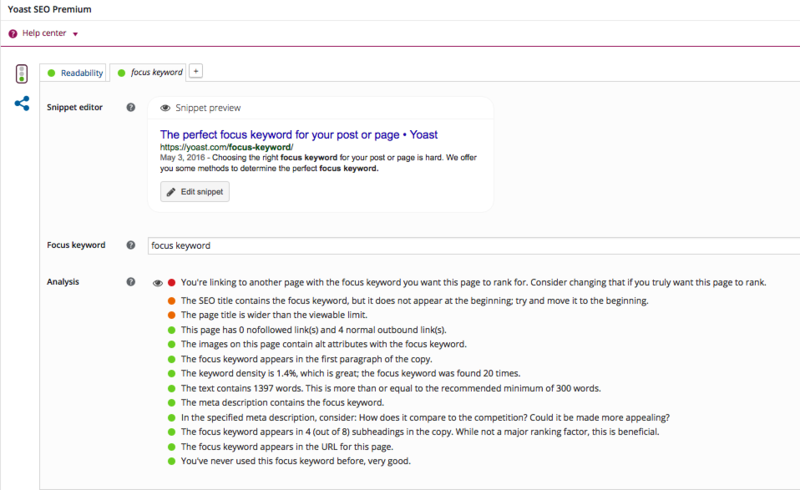 The plugin automatically reviews and filters comments when it detects any signs of spam. You can easily keep tabs on which comments are caught or filtered to maintain control over what’s being displayed on your site. Kim Smith of GoodFirms says, “The plugin supports content as well as image XML sitemap while providing advanced canonical URLs. It supports key Google SEO tools such as AMP and Analytics and notifies search engines about the updates and changes”. “This free plugin allows you to quickly compress images so they load faster. This is important for SEO value and ensuring people don’t bounce off your pages due to slow load times,” says Todd Kunsman of EveryoneSocial. “Smush quickly compresses and optimizes images in bulk, letting you focus on other things,” says Izaak Crook of AppInstitute. Smush servers do all of the work for you, meaning your images will remain high-quality while reducing their file size. This frees up space on your server so your website will be significantly faster. Looking to improve the performance of your website? This optimization plugin helps all marketers deliver a better user experience by increasing server performance, reducing load times, and providing CDN integration (which increases your website’s performance and decreases loading time to enhance user experience). “Imsanity is a popular, free WP plugin for managing image file size. It automatically resizes images without loss of quality and saves you from having to manually scale them before upload,” says Marina Dolcic of MorningScore. Most WordPress users end up needing to use several plugins — some people even use dozens. Head, Footer and Post Injections is a plugin that allows you to copy any unique code that you use for other plugins, keep it in a centralized and organized location, and easily insert it wherever needed. The plugin is theme-independent, meaning you’ll never lose your data (no matter how many times you change your website theme). HubSpot’s drag and drop form builder allows you to easily build contact forms to use on your WordPress website. The plugin also includes a pop-up creator, live chat widget, contact database, and previously-written code for you to simply copy and paste into WordPress. HubSpot’s Contact Form Builder plug-in is unique because it’s an all in one plugin — it helps you stay efficient by keeping all of its features in a single location. Christine Kilbride of Majux Marketing says having a large number of “plugins can slow down your site.” But because HubSpot provides everything in one plugin, the tool keeps your site fast and responsive. “This highly effective WordPress plugin makes the process of delivering SEO improvements on a site much easier,” says Sean Flannigan of coolblueweb. “[Autoptimize] makes it easy for non-technical marketers to make their sites lightning fast. We all know how important it is to have a fast website — without it, our Google rankings suffer and potential customers will go somewhere else,” says Jon Nastor of Hack the Entrepreneur. This plugin aggregates and caches (a.k.a. stores) scripts and styles, which enhance your site’s overall performance. Autoptimize also has extensive API available so you can tailor the plugin to your website’s needs. These are only 25 of the thousands of WordPress plugins available to marketers. WordPress plugins can help you improve your site, whether it’s speeding up your page load time, improving your site’s functionality, or tracking metrics. These powerful tools are often free, have features tailored to individuals and businesses of all sizes, and are fairly easy to use. Give a plugin or two a try and see how much it enhances your day-to-day WordPress experience — and your business.